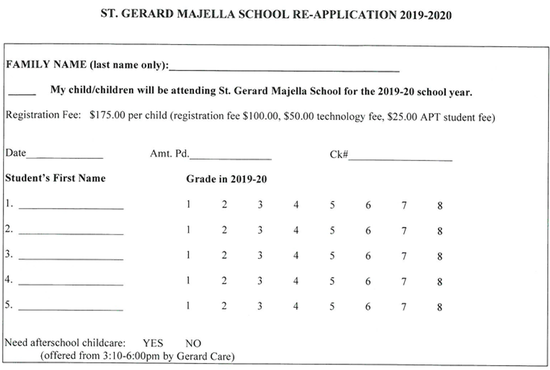 Thank you for your interest in joining St. Gerard Majella School. Click here for the application for returning students. Click here for finalized tuition for 2019-20 school year. 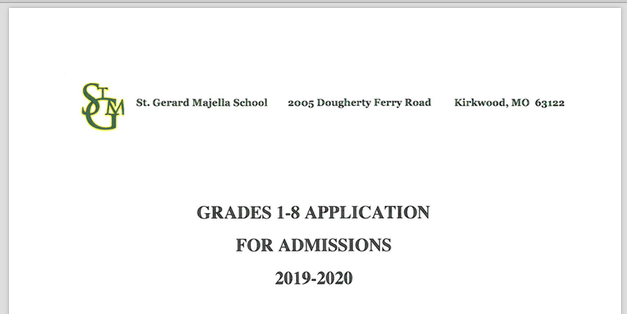 New families, please click here to view the Application for Admission Packet for Grades 1-8 for 2019-20 school year.